We’re a full service insulation contractor which means we’ve got you covered for all your home comfort needs. Specializing in Spray Foam, Blown-In Insulation and Fireproofing for the residential and commercial industries. BASK Insulation has assembled a highly skilled and dedicated team to serve you and help complete your project on time. We are proud to offer the most advanced commercial-grade equipment and foam products available. Your project will be completed efficiently, cleanly and above all with your safety as our #1 priority. Seal leaks and drafts for good. 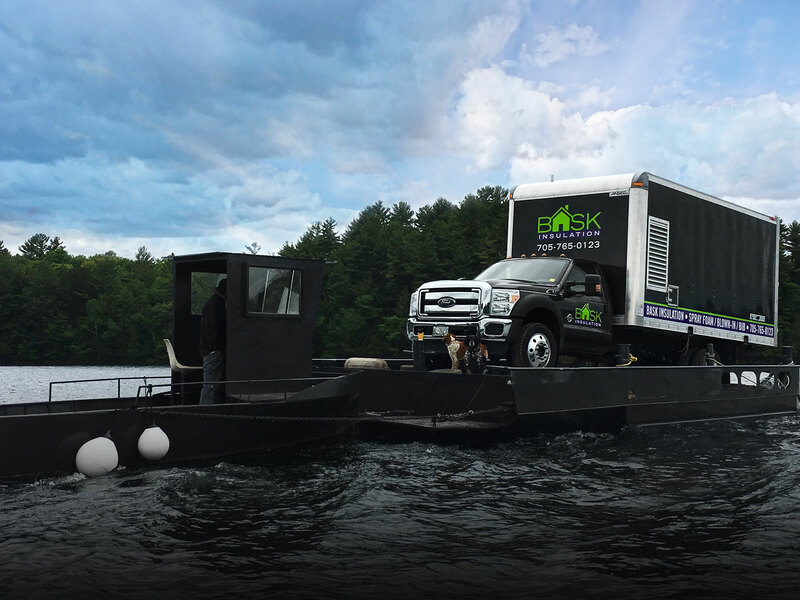 Let the certified BASK professionals protect your home or business in the Muskoka area with clean, energy-efficient and protective spray foam insulation, creating an air tight seal that insulates and protects against dust, air filtration, pests and sounds. Adding insulation to your home is a blast. Blown-in insulation has many benefits, and is the traditional form of insulation. It is a fast and easy way to save money and significantly reduce your energy bill. Every scenario is different, and every client’s needs vary. BASK Insulation is available to inspect your home or commercial space for determining levels of insulation suitable for a modern energy efficient building. If required, we also provide professional insulation removal. AVAILABLE FOR HIRE DAILY OR WEEKLY! WE ARE COMMITTED TO PROVIDING ENERGY-EFFICIENT SOLUTIONS, THE HIGHEST STANDARDS OF SAFETY AND EXCELLENCE IN OUR WORK.